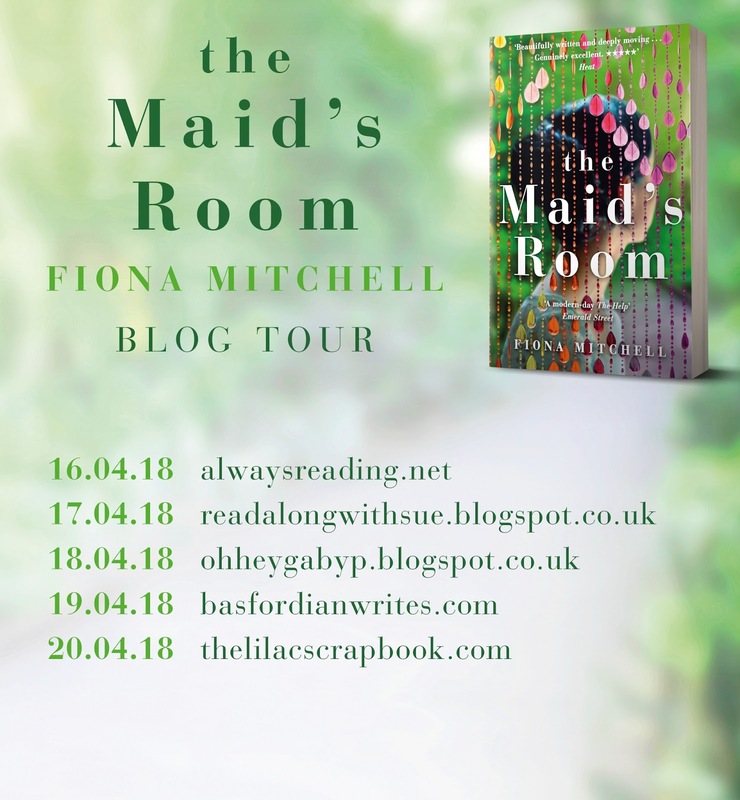 Today is my stop on the blog tour for debut novel, The Maid's Room by author Fiona Mitchell. I had a great day chilling in the bath with this one and the cover matched my bath bomb from lush. Please check out the other stops on the tour as each offers different content. 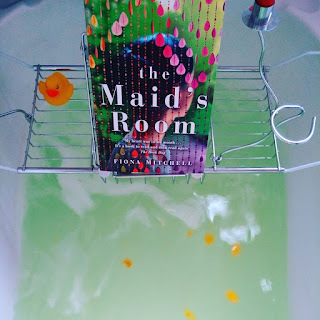 Set in the blistering heat of Singapore, The Maid's Room follows the lives of two Filipina maids - sisters Dolly and Tala who are working hard to send money back home, and British ex-pat Jules who has left her job as a midwife to move to Singapore with husband David. Told with humour, heart-breaking detail about daily life as a maid, and with an exhilarating spirit that is ultimately uplifting, this book will resonate with anyone who has struggled to have their voice heard. Perfect for fans of The Help and The Invention of Wings. Two sisters Dolly & Tala living and working in Singapore as maids, earning money to support their families back home in the Philippines. This is their story, we see into their routines, how they are treated, spied on, disrespected, abused and how their strength of character, spirit and fight gets them through the days. Dolly is the quieter of the two, more in keeping in line, Tala takes risk, fights for the girls and is a strong woman who doesn't think twice of putting herself in the firing line. Blog posts make an appearance in this which I actually really liked, we have the blog from Vanda "Life as the Employer of a Foreign Domestic Helper" a poison pen employer who could be talking about items rather than human beings. She enraged me and also Tala who starts her own blog in response which soon takes off gives the maids a voice. 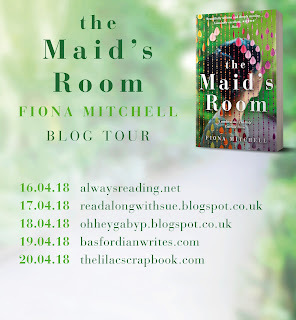 There is so much going on in this book, not just the maids, we get an insight into the families they look after, people they clean for and it leaves you worried for how vile some employers are. These woman are disrespected, abused, used and it really got me up in arms. Whilst this is a fiction book it is representative of the actual struggles going on for these maids, I was horrified and want to be educated more about it. An emotive book that commands the readers attention and made me want to do something to actually help these woman, a link at the back for something like that would be awesome. Working to support your family, leaving your own to care for others is not something I could ever do and only imagine the heartache. To then be treated as subhuman it makes you fear for humanity, vindictive and spiteful yet they trusting them to look after their precious children whilst starving them, abusing them ugh! I loved the "retaliation" blog, I love Tala as a character, she is quietly fierce and of such strong moral fibre she is a fantastic character, I would have loved the book to be longer, seen more of the other maids and a bit more justice for the women. Then, real life isn't always like that and I think the book stayed true to what all transpired. 4/5 for me this time, a fantastic debut novel and I will be watching for more from Mitchell. This book sounds both very good and very important. I have heard about the plight of maids and other domestic servants in various places in the world and I understand that there is a lot of abuse going on. I think that it is an important role of fiction to help bring some of these things to light. Lainy, this sounds like a wonderful book--I will keep it in mind. I'm glad you enjoyed it (in the bathtub!). I enjoyed your review.